Guy Stever was President of Universities Research Association (1982-1985). Other institutional affiliations include the office of Science and Technology Policy, National Science Foundation, Carnegie Mellon University, and Massachusetts Institute of Technology (MIT). October 24, 1916Birth, Corning (N.Y.). 1938Obtained AB, Colgate University, Hamilton (N.Y.). 1941Obtained PhD, California Institute of Technology, Pasadena (Calif.). 1941 – 1942Staff Member, Massachusetts Institute of Technology (MIT) Radiation Laboratory. 1942 – 1945Scientific Liaison Officer, London Mission, Office of Scientific Research and Development. 1945Researcher, Committee on Guided Missiles, Joint Research and Development Board, United States Joint Chiefs of Staff. 1946 – 1965Assistant Professor of Aeronautical Engineering (1946-1951); Associate Professor of Aeronautical Engineering (1951-1956); Associate Dean of Engineering (1956-1959); Professor of Aeronautics and Astronautics (1956-1965); and Chair, Department of Mechanical Engineering and Department of Naval Architecture and Marine Engineering (1961-1965), Massachusetts Institute of Technology (MIT), Cambridge (Mass.). 1955 – 1956Chief Scientist, United States Air Force. 1956 – 1968Vice Chair (1956-1961) and Chair (1962-1968), Scientific Advisory Board, United States Air Force. 1965 – 1972President, Carnegie Institute of Technology (1965-1967) and Carnegie Mellon University (1967-1972), Pittsburgh (Pa.). 1970 – 1976Member, National Science Board. 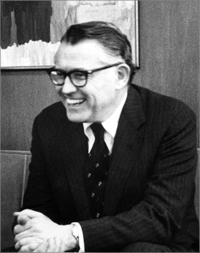 1972 – 1976Director (1972-1973) and Director and Science Advisor to the President (1973-1976), National Science Foundation. 1973Member, National Academy of Sciences. 1976 – 1977Director and Science Advisor to the President, Office of Science and Technology Policy, Executive Office of the President. 1982 – 1985President, Universities Research Association. 1991Awarded National Medal of Science. April 9, 2010Death, Gaithersburg (Md.). Assistant Professor of Aeronautical Engineering; Associate Professor of Aeronautical Engineering; and Professor of Aeronautics and Astronautics. Massachusetts Institute of Technology. School of Engineering. Chief Scientist; Vice Chair and Chair, Scientific Advisory Board. Researcher, Committee on Guided Missiles, Joint Research and Development Board. Director and Science Advisor to the President. Scientific Liaison Officer, London Mission. Obtained PhD in Physics (1941). H. Guyford Stever papers, 1930-1990 (bulk 1939-1990). MIT Radiation Laboratory oral history collection, 1991. Oral history interview with H. Guyford Stever, 1993 March 17. MIT School of Engineering Office of the Dean records, 1943-1989. National Science Foundation (NSF) records, 1907-1987 (bulk 1948-1987). NSF Science Advisor to the President records of H. Guyford Stever, 1973-1976. Human exploration of space : a review of NASA's 90-day study and alternatives / Committee on Human Exploration of Space, National Research Council. In war and peace : my life in science and technology / Guy Stever. The high technologies and reducing the risk of war / edited by H. Guyford Stever and Heinz R. Pagels. H. Guyford Stever Massachusetts Institute of Technology obituary. H. Guyford Stever New York Times obituary. H. Guyford Stever Washington Post obituary. Horton Guyford Stever Physics Today obituary.